Owsley Stanley (born Augustus Owsley Stanley III), notorious 1960’s LSD chemist and the original Grateful Dead sound engineer (he helped kick start the live recording of their shows), is currently visiting the Bay Area from Queensland, Australia, where he’s been living off the grid for over 20 years making gold enamel sculptures. Less well known are Bear’s contributions to rock concert sound. As the original sound mixer for the Grateful Dead, he was responsible for fundamental advances in audio technology, things as basic now as monitor speakers that allow vocalists to hear themselves onstage. The legendary, super pure acid that Owsley produced was a staple of the Bay Area scene in the mid to late 60’s, showing up at Grateful Dead shows and Ken Kesey’s Acid Tests. Owsley’s nickname is “The Bear”, which comes from the bear illustration created by Bob Thomas, an image that later became the familiar “dancing marching bear” icon of The Grateful Dead. 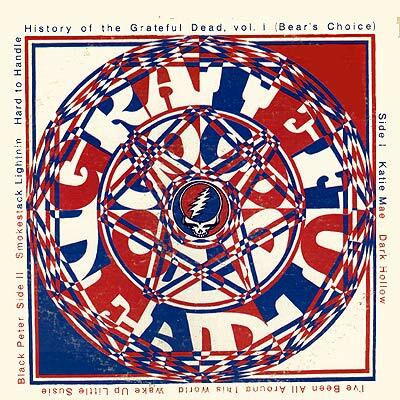 Speaking of Grateful Dead art, Owsley, along with Bob Thomas, designed the famous “Steal Your Face” logo. For more on Owsley Stanley, check out his Wikipedia article. UPDATE: In the comments Owsely clarifies the “Purple Haze” myth as well as the misconception that he put his doses on paper.